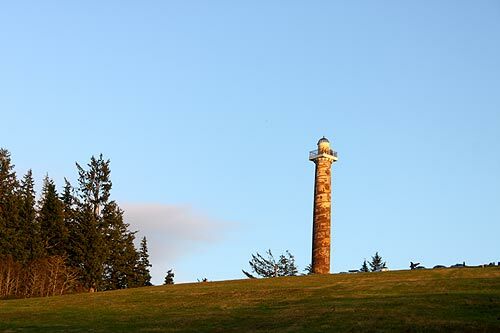 (Astoria, Oregon) – This month, the Columbia River Maritime Museum in Astoria gives you glimpses of all kinds of awe-inspiring history: from the recent exploits of Coast Guard helicopters, to 400-year-old shipwrecks, all the way back to prehistoric dino fish. There is much happening at this north Oregon coast hotspot. 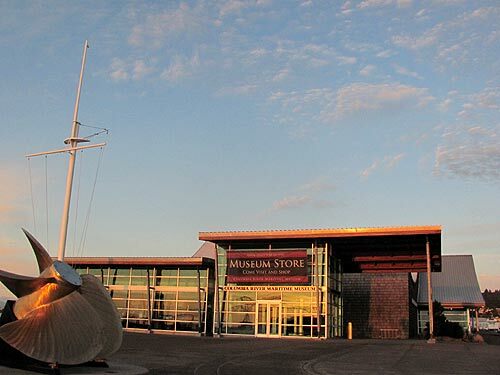 Every Tuesday in the meeting rooms at the Columbia River Maritime Museum you can learn more about maritime history. This lecture series offers a different speaker each week who will discuss topics pertaining to the Columbia River and the Museum's collections. No registration is required. Next up is February 10. 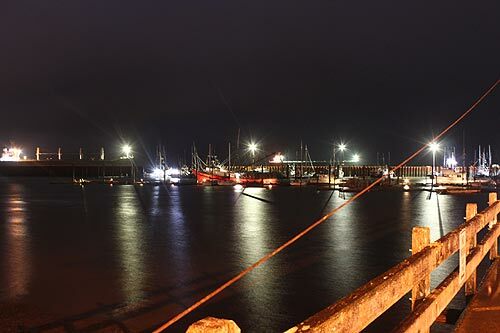 This time around, James Cole will discuss the history and evolution of fishing vessels of the Pacific Northwest and Alaska, from native canoes to Columbia River gillnetters and on to present day freezer long-liners. This illustrated talk will include stories about the builders and the fishermen. 10:30 a.m.
February 17 brings Scott Williams of the Beeswax Wreck Project. 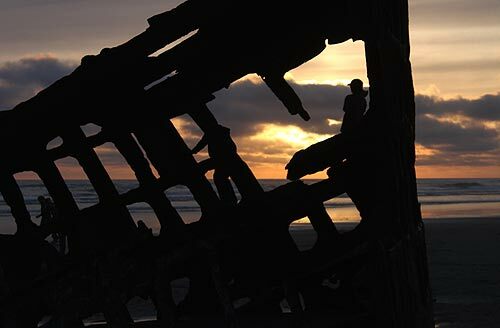 Before recorded history, a large sailing ship wrecked on the Oregon coast near the Nehalem River. 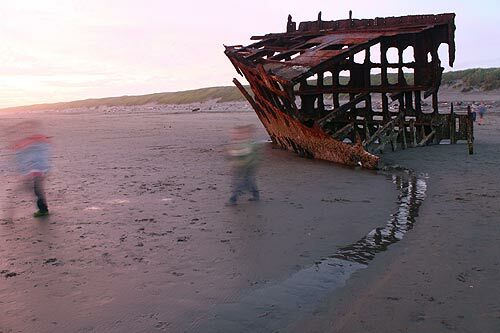 Historians know which ship it was and when it wrecked, due to a unique set of coincidences involving the size and type of the ship, its cargo, and the effects of a very large tsunami that did more to protect the wreck than destroy it. You will hear the latest findings of the Beeswax Wreck Project. February 24 brings Captain Bruce Jones, retired from the U.S. Coast Guard, to the lecture hall. Few environments are more challenging for a helicopter crew than night, offshore and low level. Throw in approaches to the pitching, rolling decks of ships at sea, and you'll understand why flying the Columbia River Bar Pilots' helicopter and hoisting the Bar Pilots to and from ships 24 hours a day are some of the most demanding jobs in aviation. Jones will discuss the operations of the CRBP helicopter and add a few stories from his 30-year career in Coast Guard aviation. If you're wondering what dinosaurs that lived in the ocean were like – perhaps even off the Oregon coast – then the ongoing “Sea Rex 3D: Journey to a Prehistoric World” movie is for you. It's like a touch of Jurassic Park – but underwater. It's a 3D adventure from the dinosaur age with Sea Rex 3D: Journey to a Prehistoric World. Join Julie, an imaginative young woman, as she travels from a modern-day aquarium to the Triassic, Jurassic and Cretaceous periods. Explore an amazing underwater universe inhabited by larger-than-life creatures - including the powerful Liopleurodon, long-necked Elasmosaurus and gigantic Shonisaurus - which were ruling the seas before dinosaurs conquered the earth. Using state-of-the-art ultra-photorealistic imagery, see science come alive in a unique and entertaining manner. Immerse yourself in a lost age, 200 million years back in time, and get ready for a face-to-face encounter with the T-Rex of the seas. 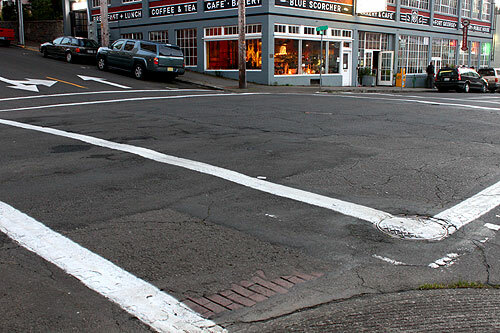 More about the Astoria area below, and at the Astoria, Warrenton Virtual Tour, Map.